My friend Atalie over at Riding Triumph earlier this week blogged about her fall goals. 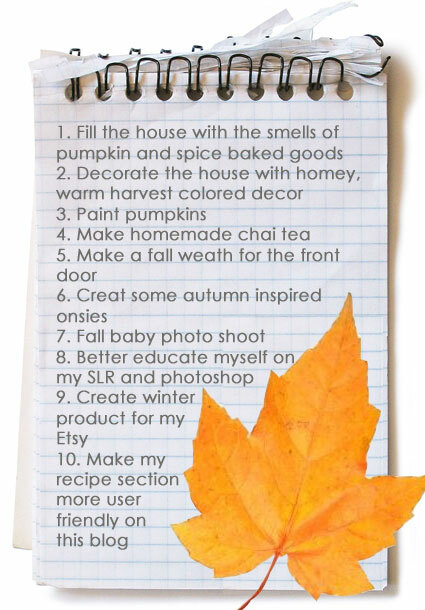 Being a goal and list maker by nature (as you know if you've been following for awhile) I had no problem answering her question of, 'What are some of the things you love doing to enjoy the fall?' Here ya go Atalie! P.S. You should hop over to Riding Triumph. 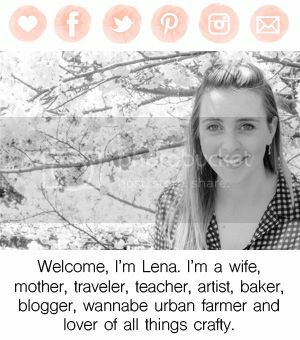 Atalie is a creative woman with a fun sense of style and a great eye for wedding design. Seriously, go visit her! What are your fall goals, inspirations, or desres?